Arbitration is gaining momentum as a leading form of dispute resolution. It is an alternative to litigation before courts. 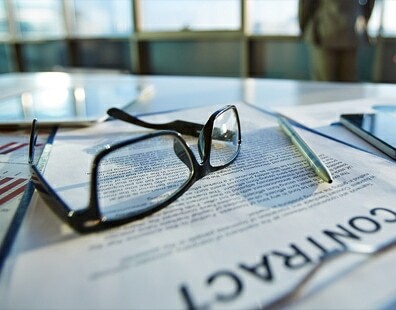 In Arbitration, the parties agree to refer their dispute to an independent sole arbitrator or a tribunal of arbitrators, usually not more than three. The arbitration agreement must be evidenced in writing. The Arbitrator’s award is binding and there is no right of further appeal, barring Courts limited powers to set-aside an award in exceptional circumstances. The Arbitration proceedings would generally be free from hyper technicalities attributable to Court Litigations. Efficient, uncomplicated and quick dispute resolution mechanism is essential for businesses to strive. UAE authorities are facilitating Arbitration mechanism for resolving disputes. Articles 203 to 218 of the Federal Civil Procedure Code deal with Arbitration in general in UAE. DIAC- Dubai International Arbitration Centre has its own Arbitration Rules (“DIAC Rules”) and is a busy arbitration center. DIFC Arbitration Center – The Dubai’s International Financial Centre (DIFC) is a favored Arbitration seat. The relevant DIFC Arbitration Law No. (1) Of 2008, is based UNCITRAL Model law. Anyone can opt for the DIFC as an arbitration seat. DIFC arbitration Awards are enforceable by the Dubai Courts. DIFC-LCIA Arbitration Center – It is an entity of collaboration between DIFC and London Court of International Arbitration (LCIA), The DIFC-LCIA Arbitration Rules are largely modeled on the LCIA Arbitration Rules. We, at Al Nassar, have a multilingual team of Arbitration Lawyers with international and local experience and well versed in general law as well as arbitration Law and proceedings including the specific Arbitration rules of DIAC and DIFC-LCIA Arbitration Centers. Our Lawyers with such experience and proficiency represent and provide the best service to our clients in Arbitration matters. Our lawyers are well versed and equipped in resolving disputes by mediation and other Alternative Dispute Resolutions methods (ADR).